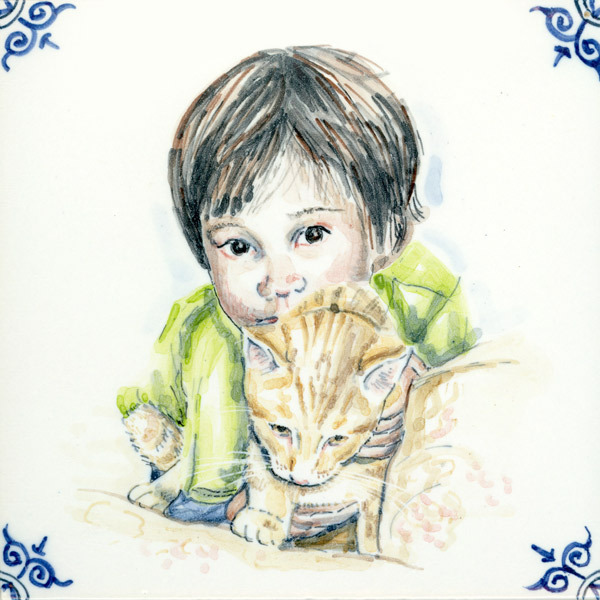 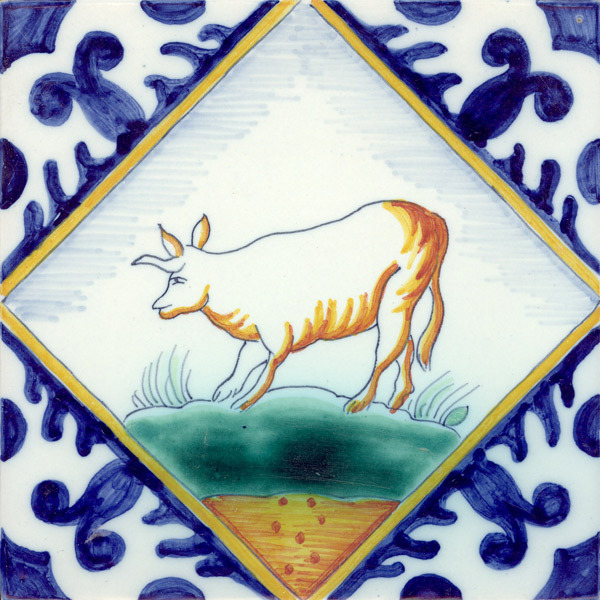 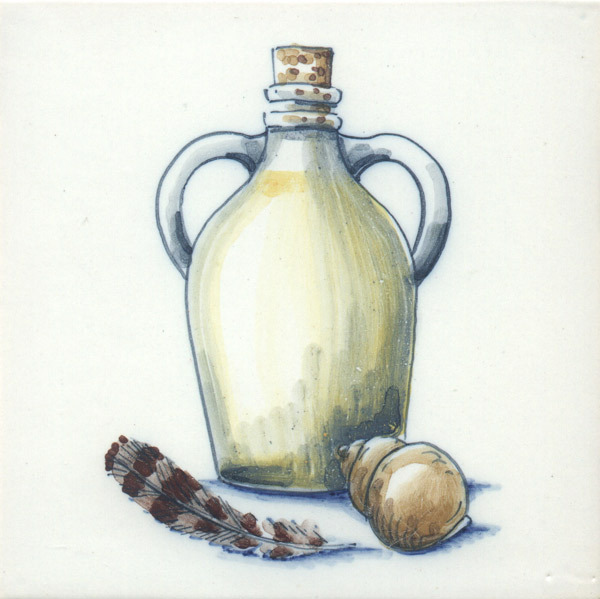 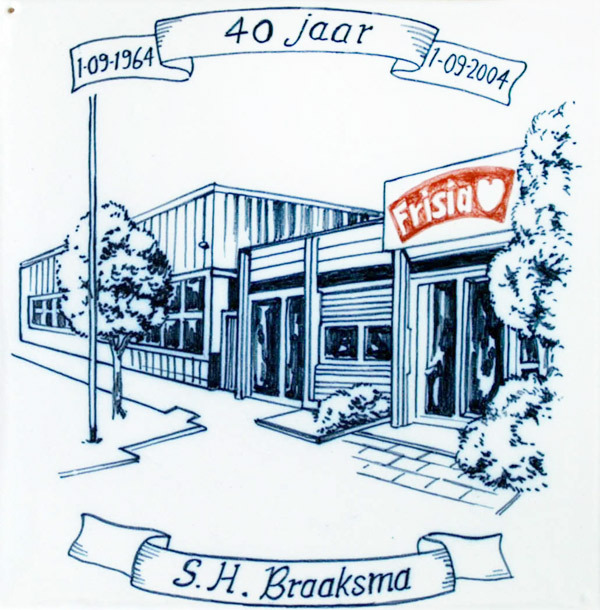 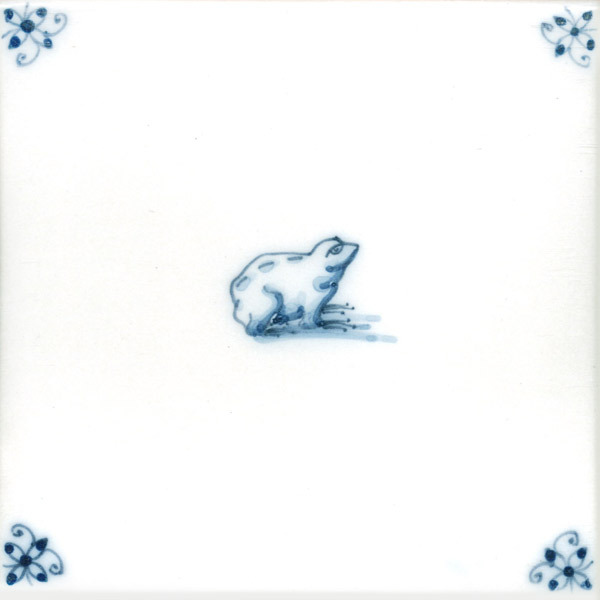 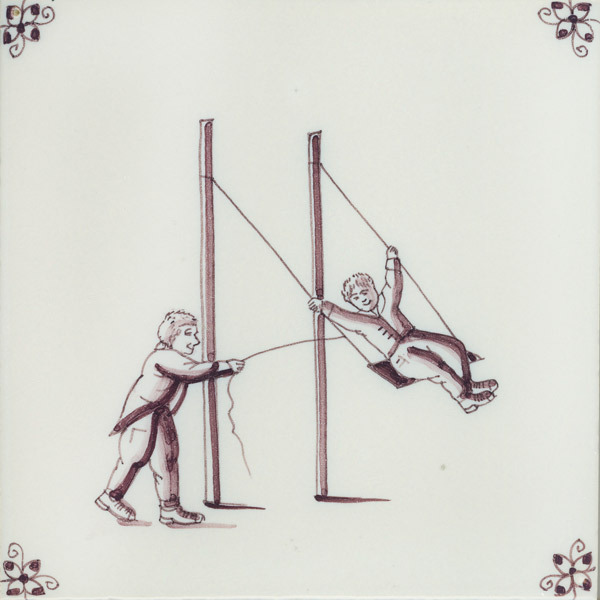 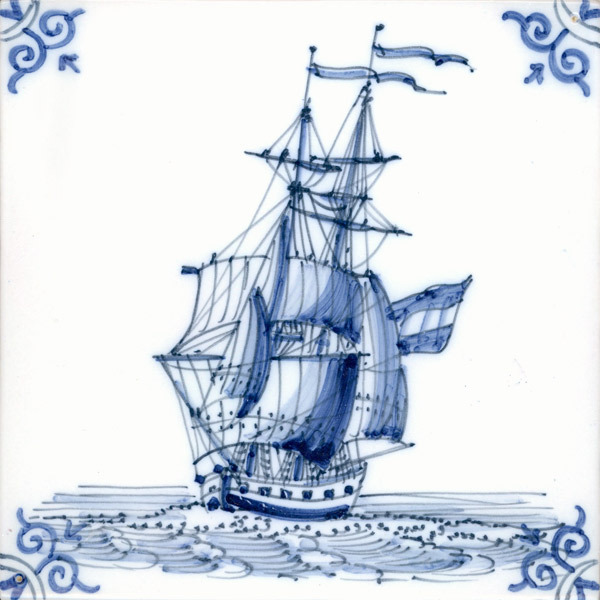 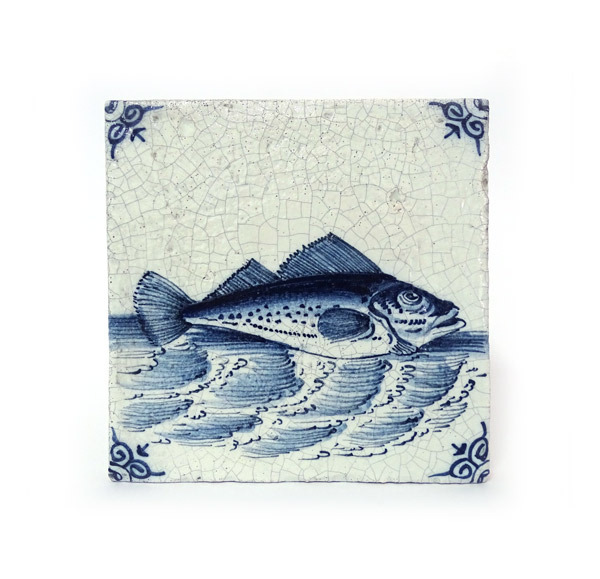 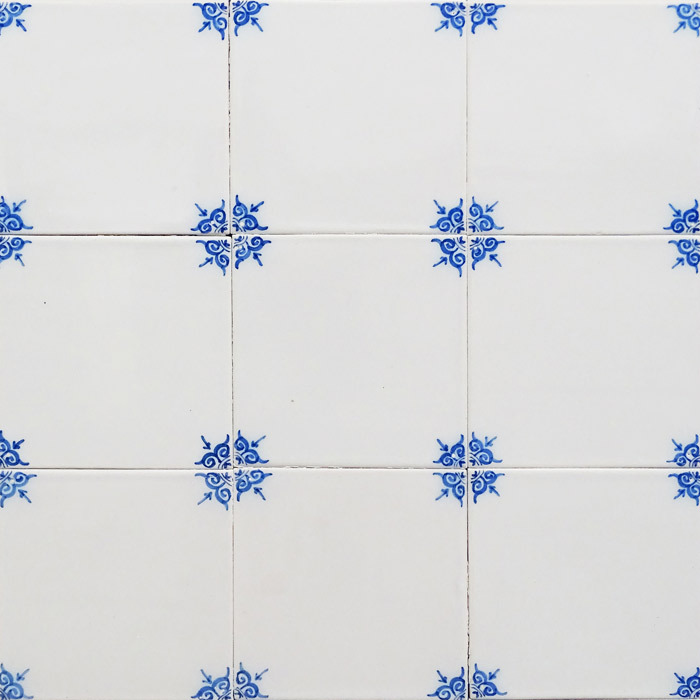 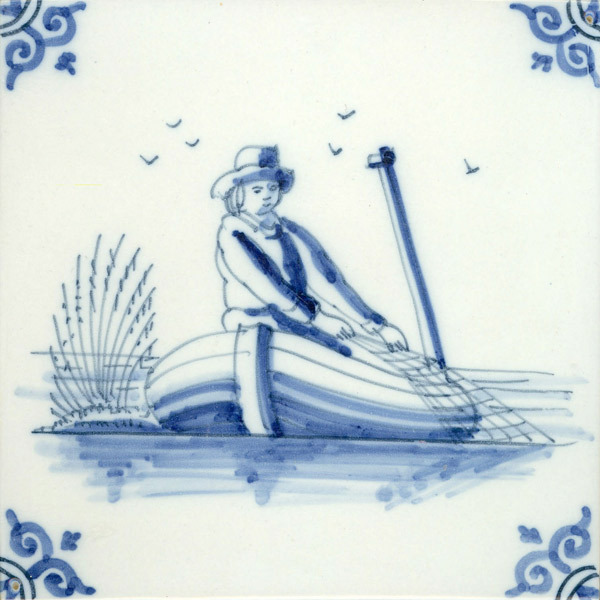 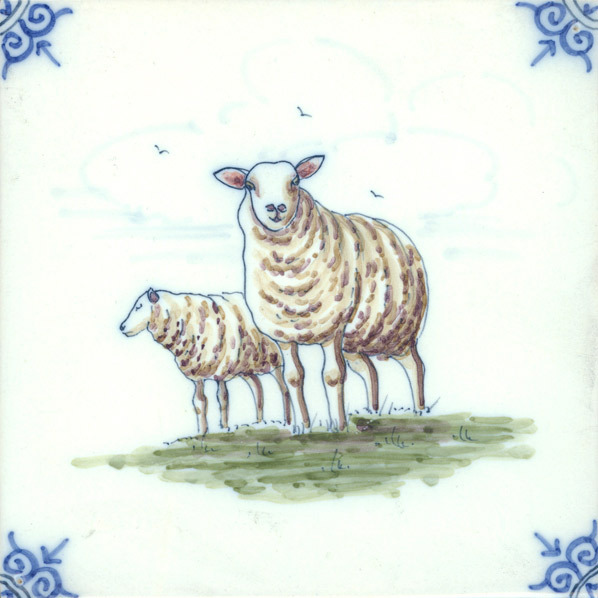 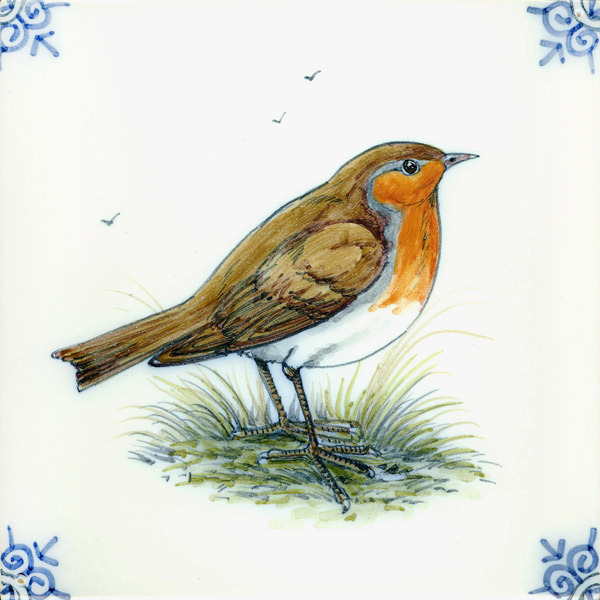 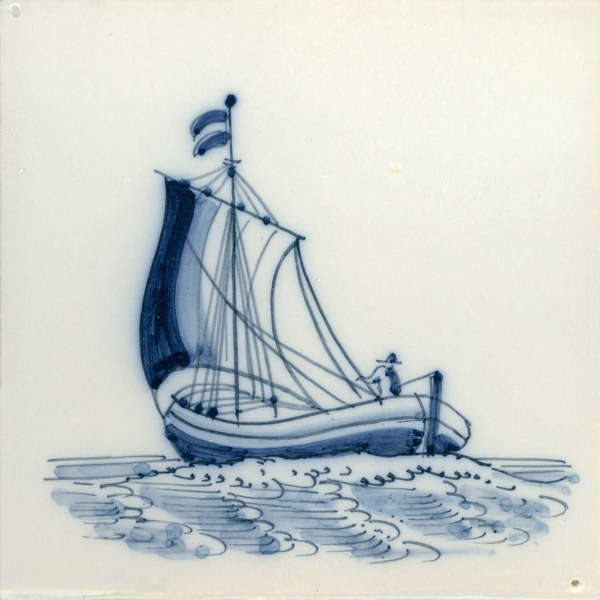 Real Dutch handmade tiles are made in Harlingen. 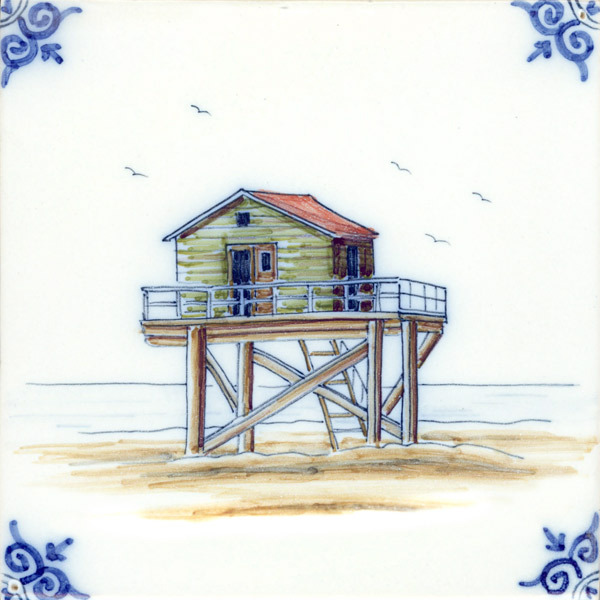 We do not only paint the tiles by hand, but we also mould and glaze them by hand. 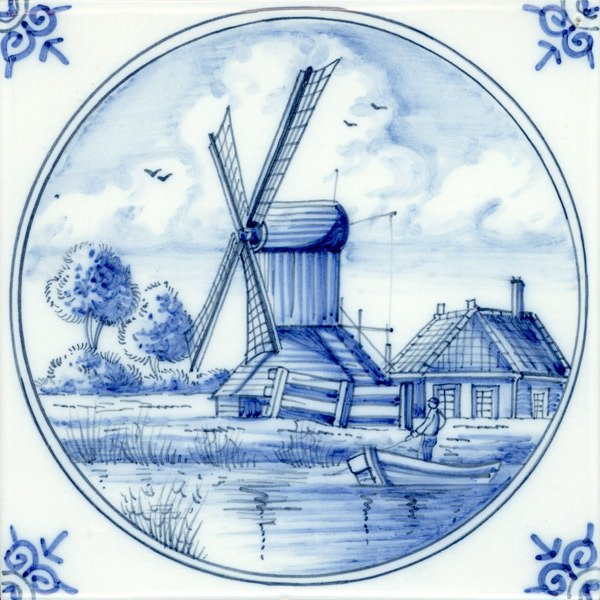 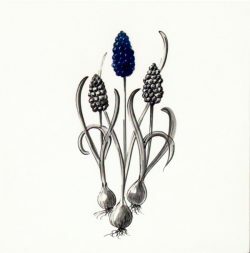 Take a look at the Craft page. 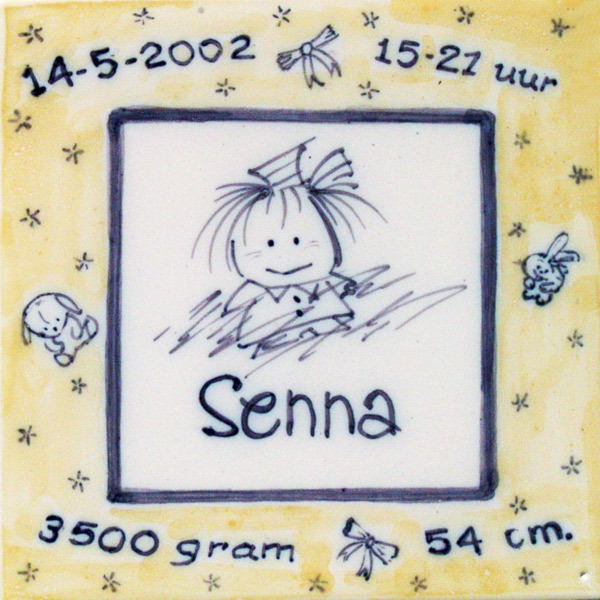 Our tiles have the standard historical dimensions of 13 × 13 cm. Other dimensions are also available on request. 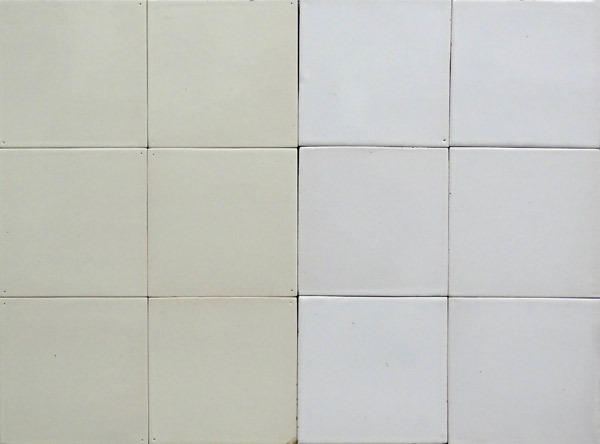 You can choose from white shades, coloured tiles, painted tiles or tiles with a texture. 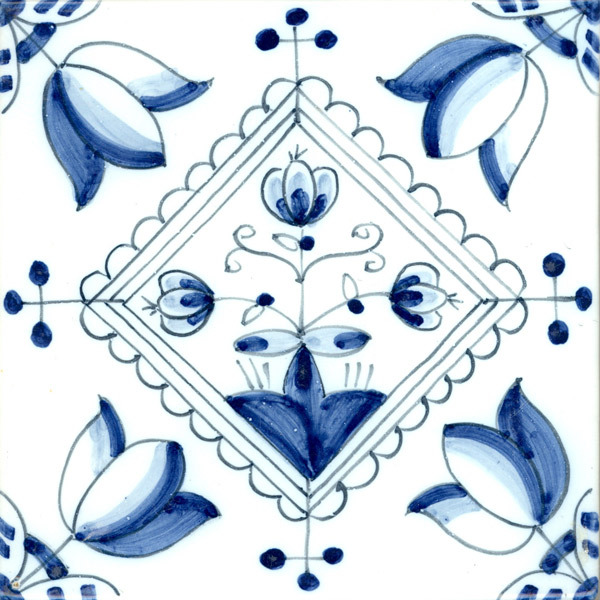 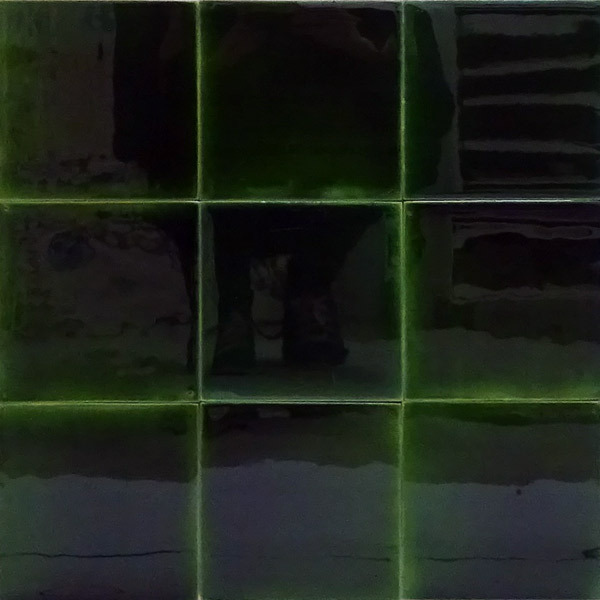 All tiles are hand-formed, glazed and / or painted. 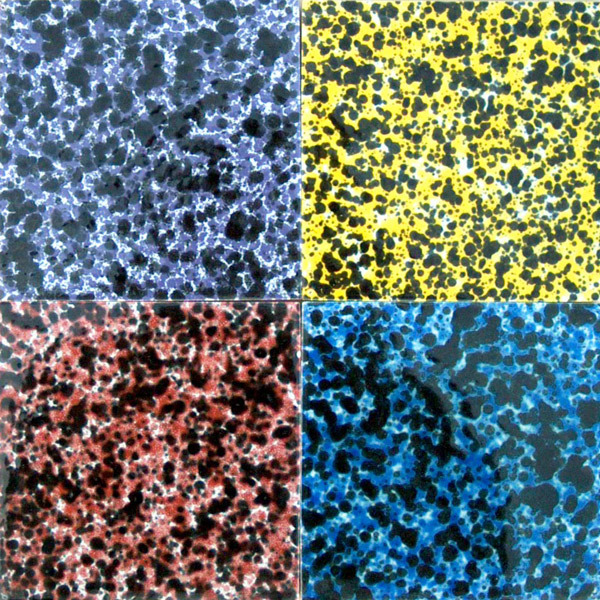 By using the age-old authentic recipe together with our years of experience, we are able to create the most beautiful colours. 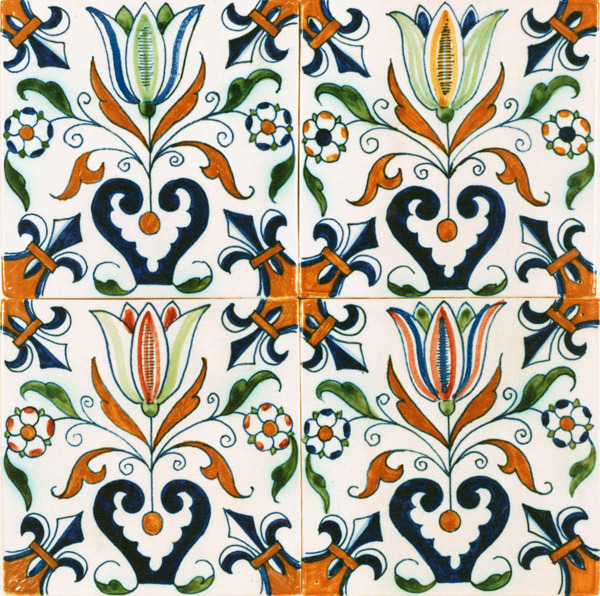 We are therefore also known for our bright colours. 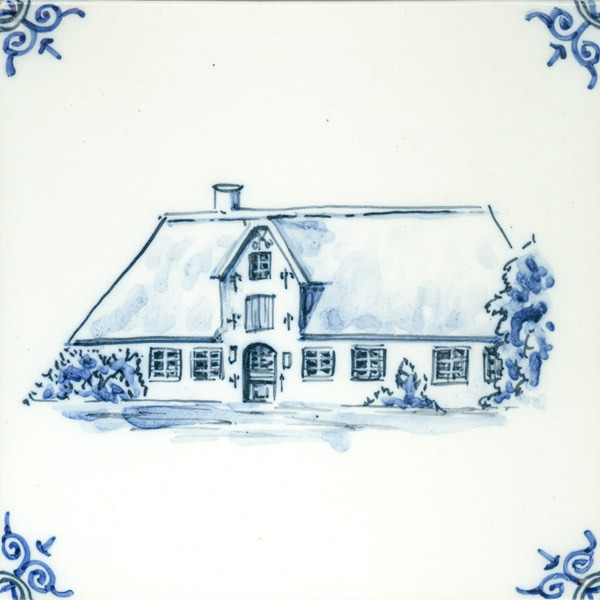 We like to work together with you to make your dreams come true. 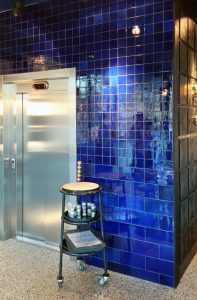 For example, at the Roastroom both blue coloured tiles and a metallic type have been used. 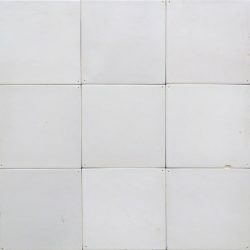 Characteristics of handmade tiles are the holes in the corners. 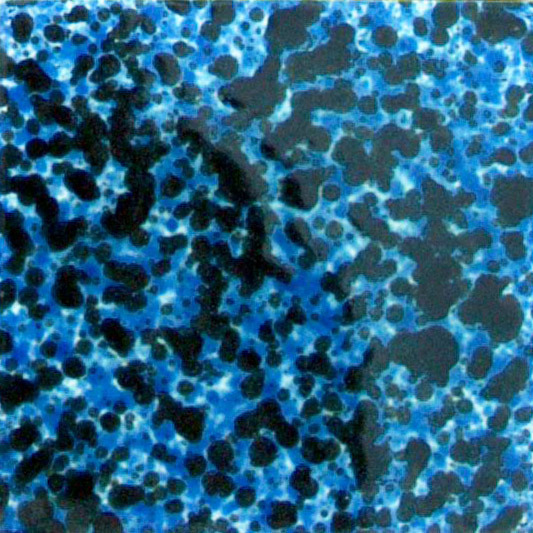 This is due to the use of a mould with nails to keep the mould in place. 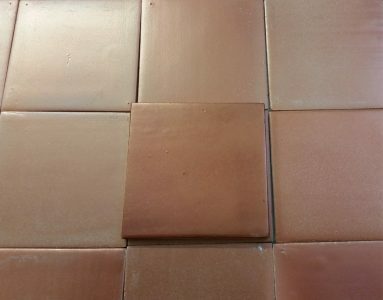 It is the only way possible to cut a handmade tile to size by hand. 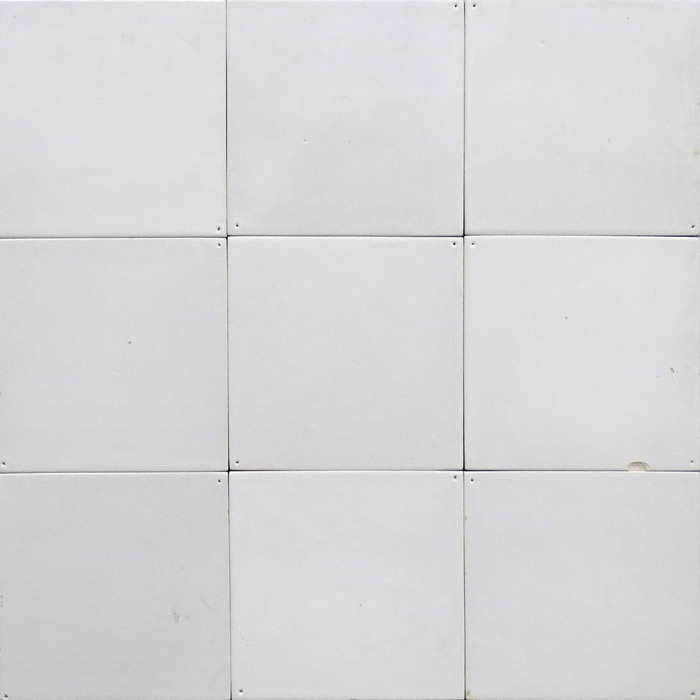 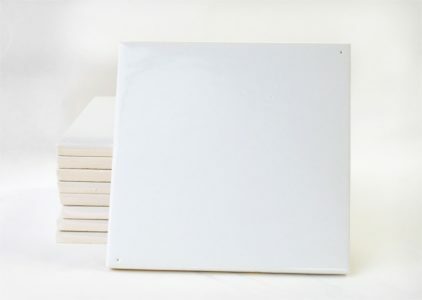 In addition to the wall tiles for inside, frost-resistant tiles are also available that can be used for façade cladding.